I remember the day I bought my first moisturizer. I spent ages exploring all the little jars and bottles on the shelves of my local supermarket, trying to decide which one to bring home with me. I felt so grown up. In the end, I went home with a jar of Nivea cream. I picked it because it was popular… and one of the few creams my broke teenage self could afford. For a while, it worked. My skin was so soft! When the breakouts started happening, I blamed it on hormones… (we all know they go crazy during adolescence, right?). Until one day, I ran out of Nivea Creme. So I reached out for a cream in my mum’s skincare stash and used that for a few days (Sshhhh! Don’t tell her!). What do you know, the breakouts disappeared. I didn’t think anything about it then. But over the years, I saw a clear pattern emerge. Whenever I used Nivea Creme, a bunch of pimples would spring up all over my face. Whenever I stopped, those damn pimples stayed away. Coincidence? I don’t think so. It took m a while to realise it but Nivea Creme was too rich for my combination skin type. And when you use a cream (or any other skincare product for that matter) that’s not suitable for your skin type, all kinds of nasty stuff happens. Breakouts. Dryness. Flakiness. Stinging and burning. It ain’t pretty. If you want to take good care of your skin, and choose the right products to help it stay healthy and younger-looking, you need to determine your skin type first. But how the heck do you do that? It’s not like there’s just one skin type. It could be oily, dry, normal, sensitive or a combination of the above. The universe has blessed you, you lucky gal! Enjoy it! No shiny patches, no flakiness, no irritation, nothing to report. You heard about breakouts, but don’t even get the occasional pimple. You’re pretty sure you have pores, but you’ve never seen them. Your skin looks and feels… well, normal. Whatever it is you’re doing, keep doing it. You’re on the right track. The only thing I recommend (if you ain’t doing it already) is to use formulas rich in antioxidants. Skin can never get enough of them. Your sebaceous glands are workaholics. They don’t like taking breaks, and don’t know what holidays are. They just keep pumping out oil like there’s no tomorrow. Your skin is shinier than a frying pan. Your pores are so big, they can be seen from Mars (ok, maybe not, but it definitely feels that way). Breakouts galore! Whiteheads, blackheads, pimples… you have them all. Your skin ages more slowly and you get less wrinkles – there had to be something positive about it, right? Keep oil production under control without drying out skin. Astringents and alcohol-toners are out. Your new best friend is salicylic acid. It exfoliates the surface of the skin and unclogs the pores, reducing shine and breakouts. Twice a week, use an oil-absorbing clay mask to give it a helping hand. And keep your skin hydrated with oil-free moisturizers that give skin a burst of moisture without adding more oil. Your sebaceous glands are so lazy. They know they should produce more oil to keep skin naturally moisturized and protect it from harsh weather and pollutants, but they just can’t be bothered to. Skin flakes like a bad attack of dandruff, and why is it always so rough? You wish you didn’t have to wash your face, it feels so tight and uncomfortable afterwards. Inner glow? What’s that? You skin is as dull as dishwater. You’re no stranger to itchiness and redness. You develop wrinkles, and deeper ones too, earlier than your oily-skinned girlfriends. So unfair! On the plus side, your pores are so small, you’re not even sure you have them. If you determine your skin type is dry, your skin is badly in need of moisture. Treat it with a hydrating serum infused with humectants, like hyaluronic acid, that attract water into the skin. Then, lock them in with oil-based, occlusive moisturizers, or they’ll just evaporate into thin air! When your skin needs an extra dose of TLC, turn to a moisturizing sheet mask. Those never disappoint! And don’t forget to exfoliate with glycolic acid. It gets rid of the roughness and dullness, and hydrates skin, too. Your t-zone shines brighter than a diamond, but your cheeks dry out and flake like a pie crust. You hope it’ll never happen again, but you know the next breakout is just around the corner. Those pores on your t-zone are getting more and more visible. You need to get those sebaceous glands to work together to balance out oil production. Your best bet is to combine care regimes for dry and oily skin types. So oil-free moisturizers and oil-absorbing masks on the t-zone, and occlusive, richer formulas and hydrating sheet masks on the cheeks. I know, it’s a pain. But, it works. Your skin’s protective barrier is under attack. Freezing cold weather, harsh skincare products, and unprotected sun exposure are harming it, breaking it open in places. Now, germs, pollutants, and other nasties can get in and wreak havoc. Your skin is always throwing a tantrum. Everything it comes in contact with seems to sting it, burn it, make it itch, or turn it red. Ouch! Your skin tends to be as dry as the Sahara. Your skin is often red and flushed, and not in the I-just-went-for-a-stroll-in-winter kind of cute flushed. Did you determine your skin type is sensitive? Rebuild that protective barrier, fast! Use products with skin-identical ingredients, ie the bricks that make up that protective barrier, like ceramides, fatty acids, amino acids, and lecithin. Give it a soothing breakfast of chamomile and oats, with a sprinkle of allantoin. You can exfoliate it, too. With a washcloth. Much gentler. Confident you can now determine what your skin type is? Wait a moment. Did you know that the wrong skincare products can change it? For example, you may think your skin is naturally dry when, in fact, YOU are making it dry by using cleansers that strip away all its natural, moisturizing oils. On the contrary, the extra grease and breakouts may be the result of a moisturizer too rich for your skin type. 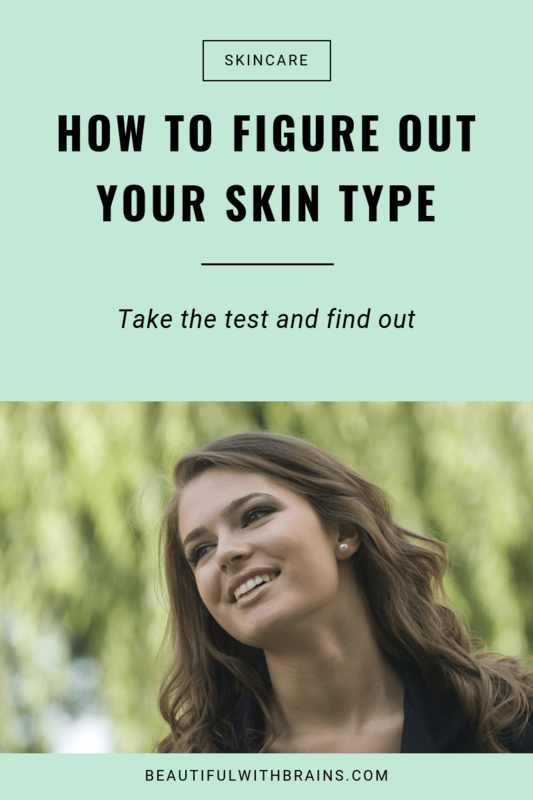 Sign up to take "The Ultimate Test To Figure Out Your Skin Type"
… your skin may decide to throw a curveball at you, and change type. Hormones, climate, wrong skincare products, diet, smoking, stress, medication, and unprotected sun exposure are just some of the things that can influence your skin type. For example, I used to have tough combination skin. Since moving to freezing London, it’s turned dry. Or, your skin may have always been dry, but now menopause is starting, those crazy hormones are turning it into a greasy, oily mess. Argh! So, what’s a girl to do? Just keep an eye on it. As soon as you notice any change, tweak your skincare routine accordingly. Now that you know how to determine your skin type, choosing the right products for your needs will be a breeze. Happy skincare shopping! Did determine your skin type? Share it in the comments below. I’d also recommend you start using a serum with hyaluronic acid. It’s very hydrating, which is just what dry skin needs. Hope this helps. Barbara, sounds like your skin is combination. By that I mean a mixture of more skin types, not necessarily oily and dry. But, if your skin changes so frequently, it might mean you’re using some products that don’t agree with it. Are you changing anything in your skincare routine on those days when your skin is oilier or tighter than usual? Actually no. I tend to pretty much stick with one product till I´m done with it. And that usually last from 6 to 10 months. Could be hormones and weather, that´s my personal guess. Oh, yes, they can definitely play these kinds of tricks. Do you know if your skin gets oilier only when the weather is getting hotter for example? If not, I would try and keep a sort of skin diary to figure out what variable is different on those days when your skin misbehaves. Then, you can start looking for a more permanent solution that fixes the problem at the root. Hi Gio, I’ve tried the ultimate test, but I’m afriad that either it has failed me, or I have failed it. My skin is very shiny, and my pores are pretty visible (you’ve guessed it – breakouts galore! ), but the moment you apply foundation, flakes and cracks become immediately visible (even under my eyes). They’re especially prominent on the T-zone, where the makeup doesn’t sit correctly. My skin is dry and flaky under all that shine and oil (what!? ), and it hates most products with a passion, though pure rose oil tends to be OK. If I let it get even the slightest bit dry, more and more tiny red spots will emerge. 90% of the time, my face is a mess of angry red blotches, shine and discomfort. Finding the right product for this face has been a 5-year long uphill struggle. I work out and eat relatively healthily (though I’m not going to deny that I have a hideous sweet tooth). Sometimes I really wish it was just “dry” or “oily”. Marie, may I ask what happened when you first tried the ultimate test? How did your skin react afterwards? And what are you currently using on your face? Sorry for all these questions, I’m just trying to figure out what’s going on. Loving your blogs. I’ve done the test but I still don’t feel sure of my skin type!! I feel like my t zone and forehead is both dry and oily at the same time if that’s possible, but cheeks are normal! I am a vegan & tend to go for products as natural as possible because of sensitivities although I think I’d be happy to try the chemical exfoliants. What would you suggest I treat my skin type as – combo? So grateful for your input. Really feel it’s time I revolutionised my skincare!! Thanks so much. Sian, it is possible to have oily and dehydrated skin. Sounds like your skin lacks water. Have you tried a serum with hyaluronic acid? That should do the trick. I’m looking for best skin care for my aging, but have random break outs. I’m Peri menopausal. Need a cleanser. And a wonderful moisturizer that want break me out. But enough to hydrate my aging face. Hi Tina, what’s your skin type? You mention you need hydration so I’m guessing it’s on the dry side. But you’re also talking about breakouts. Do you have problems with acne too? Ohh thank you so much for this amazing guide! I’ve always been confused about skin types, but your clear guide made it so easy to ID my skin! At the beginning of the year I had oily acne prone skin the same as I’ve always had – in March, my skin suddenly became super sensitive. My cheeks feel hot and sunburned even though I haven’t been in the sun and they look really red (even Cetaphil face wash hurts right now!). My routine consisted of washing my face AM and PM with Basis Cleaner Clean Facial Wash, then I wiped my face over with Clearasil Ultra 5 in 1 Cleansing Pads to control my oil and acne, then applied Boots No7 Early Defense SPF 30. At night I applied Cerave Facial Moisturizing Lotion PM. I’ve upgraded my sunscreen to EltaMD UV Clear Broad-Spectrum SPF 46 to hopefully protect my super sensitive face, but I want to do more to help heal my irritated face quickly. I have a bottle of Aveeno Eczema Therapy Moisturizing Cream as I saw recommended on your sensitive skincare recommendations – should/can I use this as a normal face moisturizer until my face calms down? I’m kind of worried about increasing my acne because it seems kind of a thick lotion, but I’m desperate enough that I’ll put up with extra acne if it calms down the irritation and redness on my face. Thank you so much for any advice!! I really appreciate it!! Chloe, glad my guide helped and sorry to hear about your problem. Imo, the best way to calm down irritated skin is to leave it alone and use just a gentle cleanser and a basic, hydrating moisturiser. The Aveeno one can help but it may cause pimples for your skin type. Give it a go and see what happens. Hi, Gio. I just discovered your blog today. It’s fantastic! I love your independent and no BS approach to reviewing skin care. I’m almost 33 yrs old. I now have oily skin, and I developed many skin allergies only in the past three years. I used to have perfect skin. I currently live in the tropics. When I travel and live in colder climates, my skin becomes a Combination skin-type. 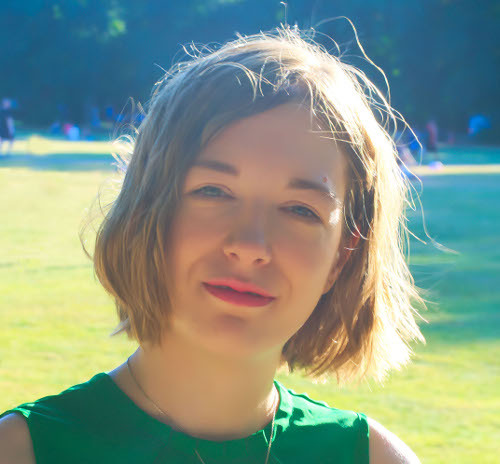 It can also get very dry when I’m on my PCOS-related medication called Acnetrex, which I used for about ten months almost two years ago to manage hormonal acne. That worked out really great but I decided to go Acnetrex-free for almost a year now so I can be kinder to my kidneys! However…My acne breakouts came back with a vengeance. I only began to take care of my skin again about two months ago. I tried using Tretinoin 500mcg but after reading your blog now, I just realized I put too much of it, so my skin dried up & itched AF. :’( I then began using Derma Wand end of August, and it’s really a miracle tool for me! My seemingly immortal acne breakouts are now gone. Skin allergies healed 100%. Dark spots lightened significantly but they are still there. I have very few pimples here and there but overall, my skin has cleared up 90% ~ now, my problem is how to get rid of all the acne scars and stubborn dark spots. I went back to basics to find out what skincare products I might also be allergic too. For now, I currently only use Nu Skin Epoch Polishing Bar for my face, neck, and chest (acne trouble areas) + Farmstay Collagen & Hyaluronic Acid Ampoule (with Niacinamide as its 4th listed ingredient) & a 20% Vit.C serum + Virgine Coconut Oil for moisturizing at night. In the morning, I use a 3W CC Cream with SPF 50…so far, no allergies! I began using the 1.00mm dermaroller with Vit. C serum two days ago, and now my skin has already noticeably improved in terms of texture too. I recently bought the PTR Retinol Fusion PM night serum. But I don’t know when I can use it, or how soon after dermarolling, and if it’s OK to use Retinol after my 2x/day DermaWand regimen. Any suggestions? Also, do you think it is OK if I undergo a TCA peeling treatment next month (after my skin fully heals from dermarolling? Or should I do an AHA peel instead? My dark spots/acne scars are really depressing me. Also, after reading about five entries in your awesome blog, I realize I need to include Salicylic Acid and Bentonite Clay mask in my regimen. Please help! And many many thanks in advance!! Andrea, thanks for your comment. As your skin is so sensitive, don’t add too much at the same time. I think PTR may be too much retinol for your sensitive skin, try a smaller concentration of retinol first to see how your skin reacts: http://beautifulwithbrains.com/strength-retinol-need/ Use it only twice a week and not on DermaWand days. You can try a TCA peel but don’t use DermaWand for at least a week before and after. As for the rest wait. See how your skin gets on with the retina before adding anything else.